EDIT: So the "S" in S24O stands for "Sub" 24 hour Overnighter, but today it might mean "Sloppy" or "Soaked". There are showers here in College Park that are currently raining on my parade and have demotivated me, so I'm not going. 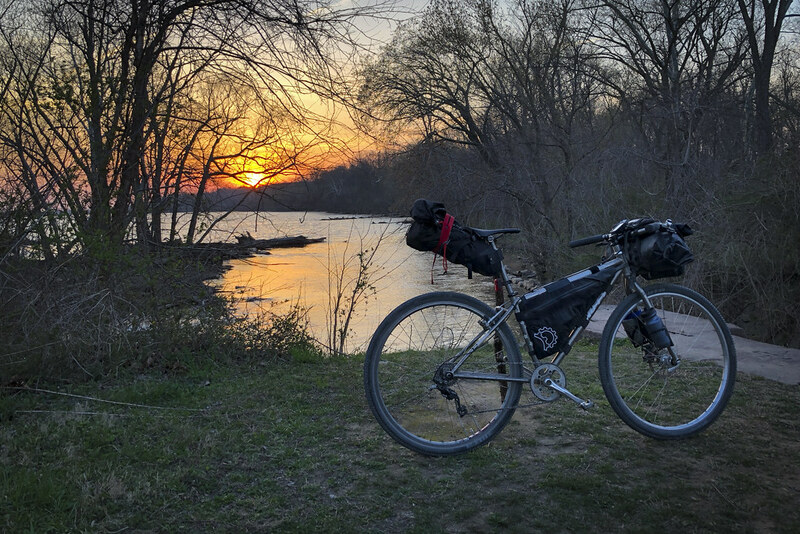 3/30/18: Going on a S24O tonight along the Towpath, ~2 hour ride from Georgetown. Ping if you want to join and I'll let you know which site. 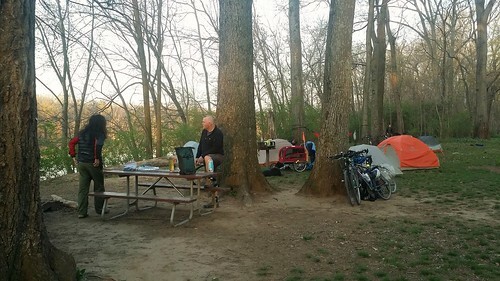 Also, just called and talked to the C&O Park staff at Great Falls Tavern, and they informed me that the pumps are still off and won't be turned back on until sometime in the week of April 15. Last edited by drevil; 03-30-2018 at 02:39 PM. Last edited by drevil; 04-13-2018 at 07:14 AM. And great weather for it, too. It was my first time bikepacking ever, and my first time camping in nearly twenty years. 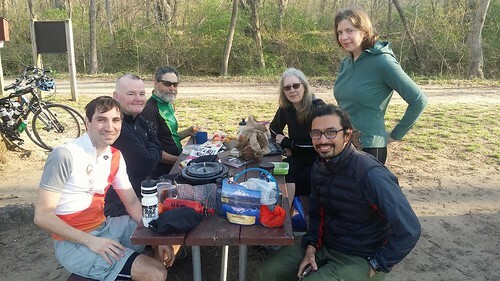 I had a great time listening to drevil and closebr discuss the merits of different packing systems, bike bags, stoves, water filtration devices, and lots of other gear. Rimas was the first of our group to arrive, and he immediately made friends with everyone else at the campsite by offering beer. In addition to half a case of beer (! ), Rimas brought a gourmet picnic to share: cheese, salami, crackers, seltzer water, lemon cakes, biscotti, chocolate-covered fruit, and more. Chibiaerin proved that it is possible to sleep soundly in a hammock, even in a busy campsite. And Rod and Mary offered more beer for breakfast, along with apples, bananas, cereal, milk, and not one but two bags of donuts. Fun times all around. Yeahhhhhh, this gets expensive. You can always get less costly stuff to save some rubles (e.g., the stove I got vs the MSR Pocket Rocket), but I usually wait for the good stuff to go on sale or when I get an REI coupon, so it's taken a while to accumulate what I have. Also, when I go mountain bike bikepacking where it's more rugged and remote, you want the most durable, compact, and lightest weight stuff, and this always means more cha-ching. 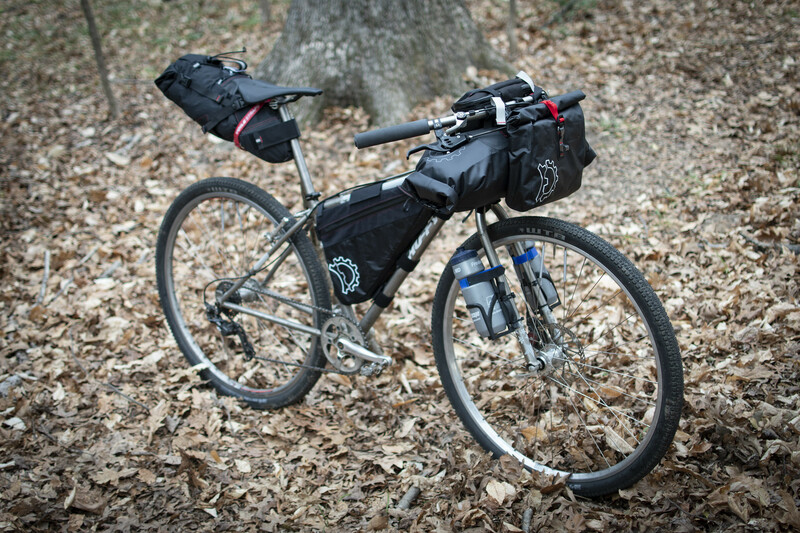 This trip was a shakedown ride for a few things I just got, and unfortunately the Revelate handlebar bag failed. I didn't overstuff or put overweight items in it (just my summer sleeping bag and a few clothes), and the part that connects the attachment straps to the bag came apart. I also didn't do any bigger drops or jumps, so this failure is really surprising after just one use. Of course it's going back, and I'll give the same model one more chance because I really like all my other Revelate stuff. 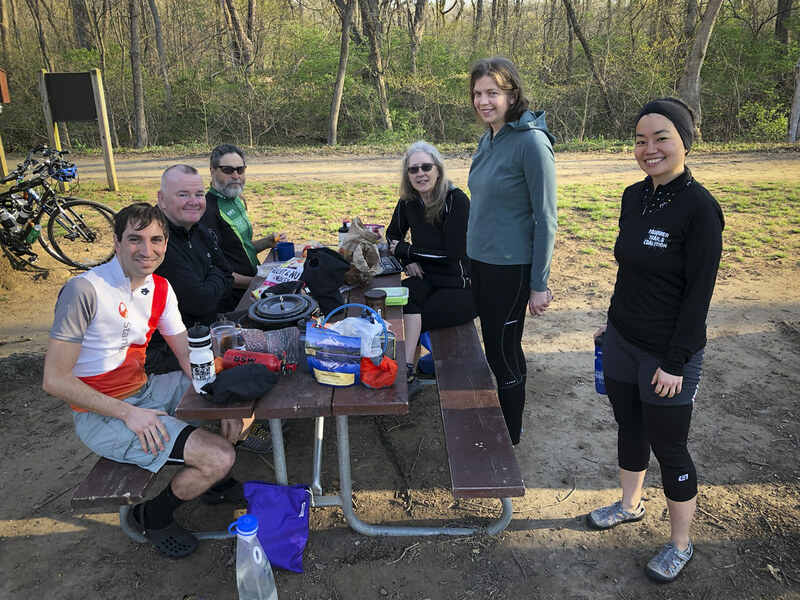 Family bike camping (because lay folk don't get what bikepacking is) at Marsden Tract on the C&O, Memorial Day weekend being discussed right now on the Kidical Mass Arlington facebook page. All would be welcome (still not 100% we're doing it, but early planning). Honestly, I don't think one can actually bikepack on the towpath. 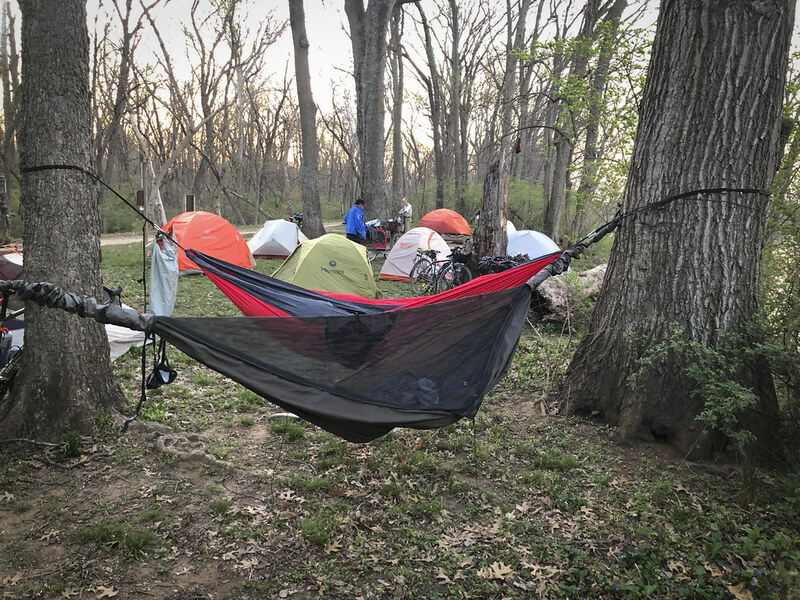 "Bike camping" is a perfectly accurate description. Hey, there's dirt there, innit? I'll make sure to mix in singletrack on my way up to the campsite so the terminology will be correct. Just throwing this out there again, but my buds are doing another Bikepacking basics Q&A at the Springfield Bike Lane tonight. I might stop by to heckle/be heckled.